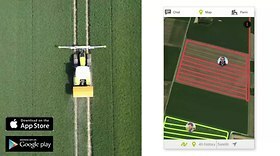 Proven CLAAS technology for impressive grain and straw quality. 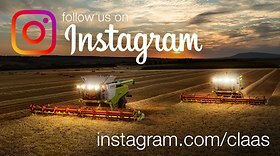 The newest technology from over 80 years experience building combine harvesters. In a proud development, CLAAS in India celebrated the delivery of 9000th CROP TIGER 30 TT, its flagship combine harvester, to Mr. V. Bheemaraju, a resident of Davangere, Karnataka. 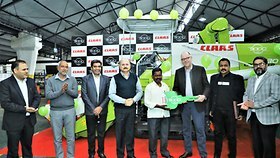 Omaha, NE — February 12, 2019 — A recent University of Nebraska–Lincoln study demonstrated that SHREDLAGE® corn silage, produced exclusively by the CLAAS JAGUAR forage harvester, improved average daily gains and feed-to-gain ratios when used in the finishing diets of beef cattle. 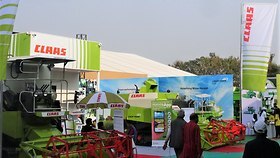 Showing its technological might, CLAAS In India puts up a remarkable display of its track mounted combine harvesters - CROP TIGER 30 TT and DOMINATOR 40, at Krushi Odisha, Bhubaneshwar. 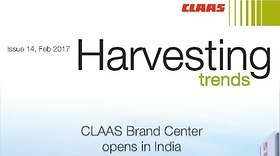 Over 30,000 farmers from Odisha and neighbouring states got a glimpse of CLAAS' advanced harvesting technology. Krushi Odisha, being organised by CII in collaboration with Ministry of Agriculture, Odisha, is one of the most visited agri-machinery exhibition of eastern India.